Fill acrylic martini glasses (we picked up some at Party City!) with milk and garnish with a healthy granola bar. Lately, we’ve been loving these new Organic Chewy Granola Bars. They come in three flavors – the Peanut Butter Chocolate Chip is our favorite. 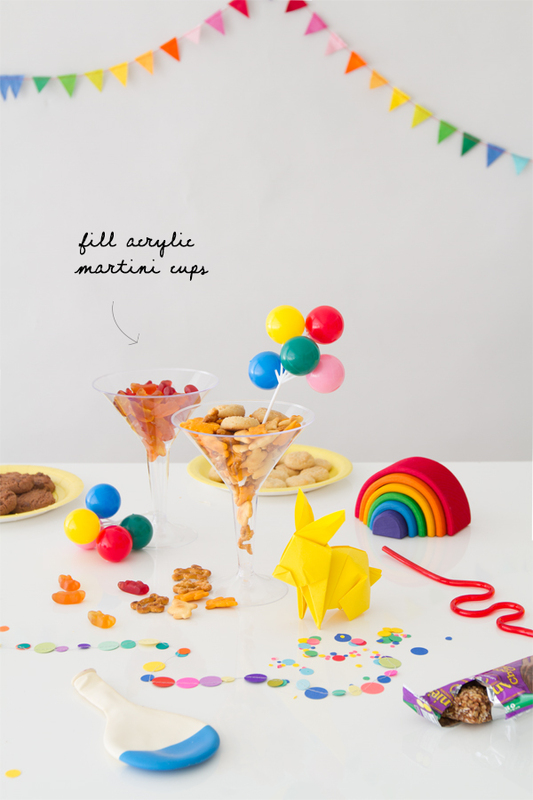 Then, embellish the drinks with cute and colorful swizzle sticks! 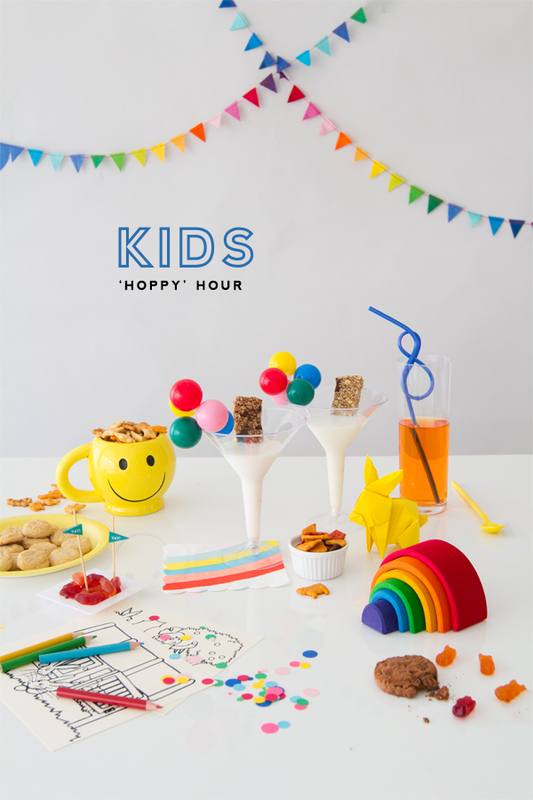 Include fun, colorful toys and activities like coloring pages, origami animals and novelty glasses! 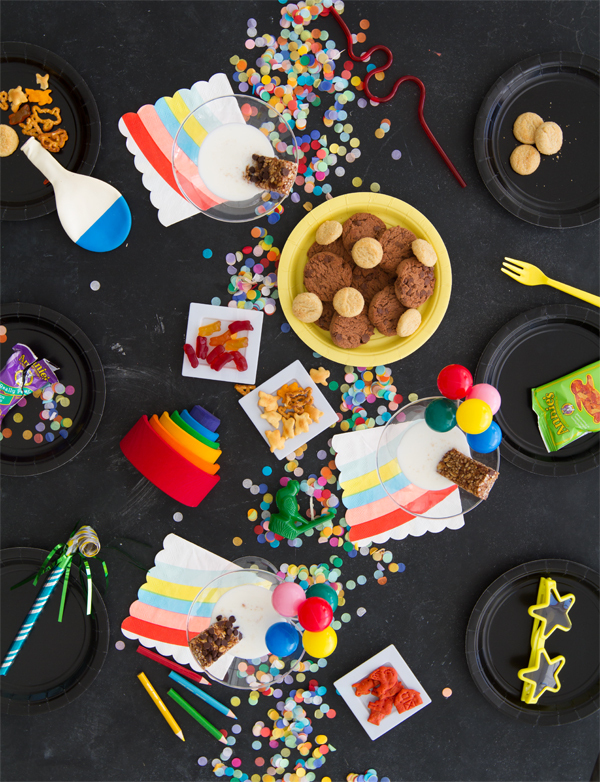 Turn your snacks into kid-friendly ‘hors d’oeuvres’ by using cocktail picks and mini dishes. 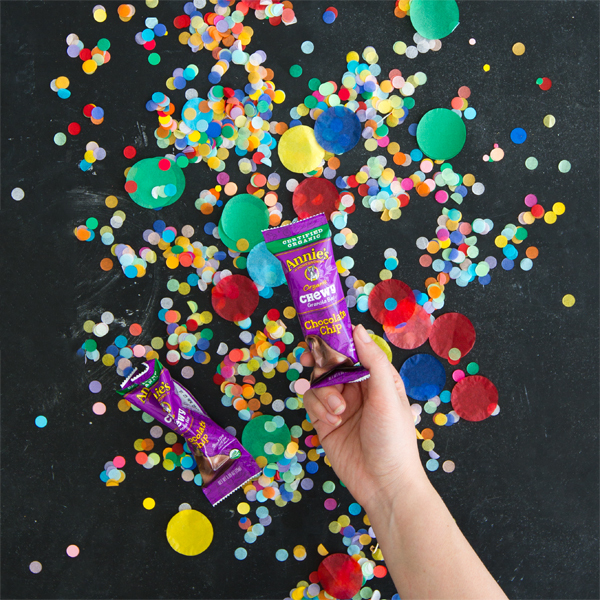 Sprinkle confetti liberally to create a festive vibe! 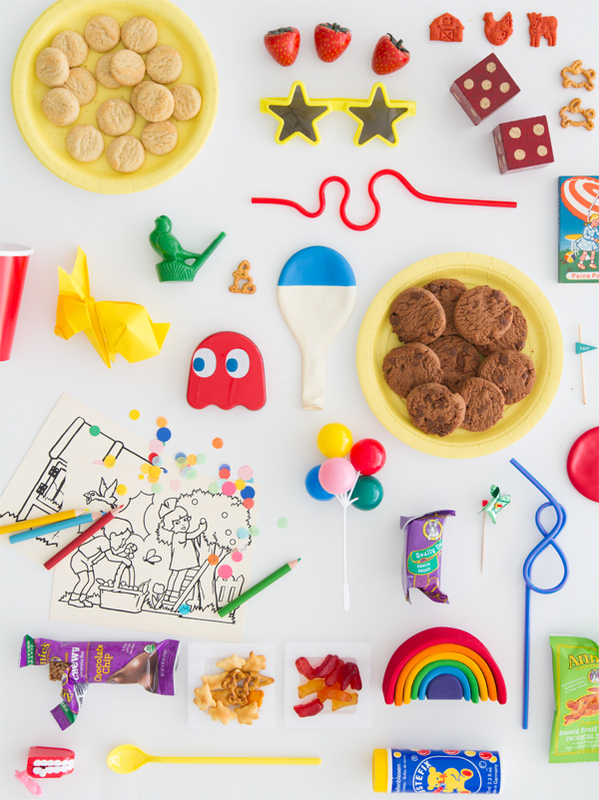 Finally, include snacks in fun, playful shapes that encourage play and make snacking more fun. Hopefully this will provide a fun way to brighten up an afternoon! Have you ever tried to shake up snack time like this? This post is sponsored by Annie’s: our friends who are dedicated to making snacktime fun & delicious for everybunny. Ok, this post has just jogged a random mermory from the past, like WAY in the past when I was about 5. But before i get into that , I have to say that I love how simple and colourful this is. I also love the idea of making everyday things into a fun and colourful celebration of just being! Now, back to that random memory… When I was 5 years old I found a baby sparrow, that had fallen from it’s nest near our home. I couln’t bear to see it suffer, so i begged mum to let me keep it. I put it in a shoebox with all sorts of soft and cosy things i thought a baby bird would like. Mum rang the wildlife centre and asked what to feed it. But the little bird would not open it’s beak to eat a single thing from the tiny eye dropper we used. We tried again and again. My 5yr old self was getting worried. And then, it came to me. “I have an idea mum”, i said, and ran to my bedroom. I rummaged through a sample bag I had been bought from a recent carnival. In it i found a small bird whistle, just like the green one in the middle of your photo. I returned to the baby bird and started blowing the bird whistle (which made a chirping, twilling sort of noise), and lo and behold, that little bird opened it’s beak and squawked for it’s food. After that we fed the little bird easily and he grew strong and healthy. We released him back into the wild, well, our backyard. And I was mightily happy indeed.